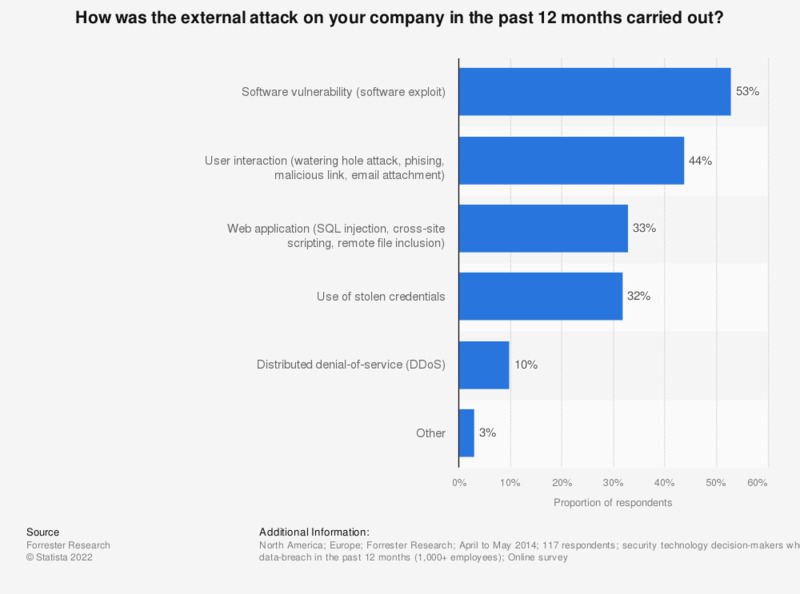 This statistic shows the most common avenues of external attacks in the prior year on organizations in Europe and North America, according to a survey conducted between April and May 2014. As of May 2014, 32 percent of respondents reported the use of stolen credentials in external attacks on their organization in the previous 12 months. * The source phrased the orginal question as follows: "How was the external attack (on your company in the last 12 months) carried out?" Multiple responses were possible.